The Ohio Craft Brewers Association will kick-off the fifth annual Columbus Craft Beer Week with Six One Pour: The Ohio Craft Beer Fest at COSI (Center of Science & Industry) in downtown Columbus. 50 Ohio craft breweries will pour samples of their unique beers, including “Six One Pour,” the collaboration beer created by Central Ohio breweries for Columbus Craft Beer Week. The event will also feature live music and food selections incorporating beer from local craft breweries. 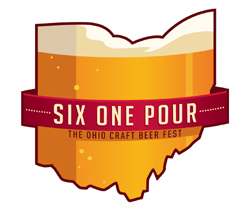 Six One Pour: The Ohio Craft Beer Fest is a fundraiser for the Ohio Craft Brewers Association. No one under 21 admitted (this applies to DDs as well). No backpacks or other large bags permitted.